It has been achieved—and on the very soil of The Evil Ones. 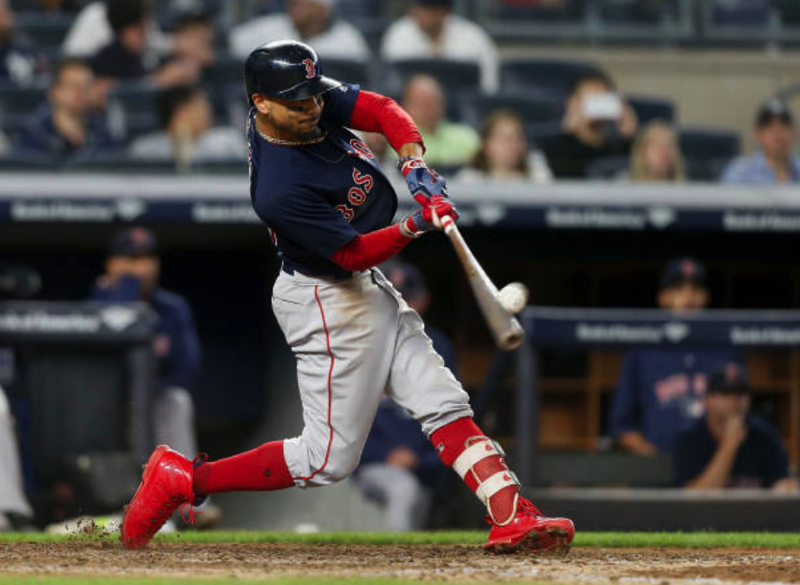 The 2018 Boston Red Sox stormed back from a 6-4 deficit to smite The Empire 11-6 on Thursday night—capturing their third straight American League East title. Despite blowing a 3-0 lead, the resilient Carmine Hose battled back to tie the game at six—then put away The Pinstriped Posers with three runs each in the seventh and eighth innings. The true nail in the coffin of The Bronx Embalmers was driven in courtesy of a three-run HR by MVP favorite Mookie Betts. The Red Sox right-fielder (DH'ing again tonight) went 4-5 with 3 runs scored and 5 RBIs—including his 30th HR. He is now hitting .339 and slugging .625. Others contributing offensively were: Andrew Benintendi (2-4, R); J.D. Martinez (1-4, RBI); Rafael Devers (2-5, 2 Rs); Brock Holt (1-4, RBI, R, HR); Jackie Bradley, Jr. (1-3, HR, RBI, 2 Rs). While Eduardo Rodriguez had an uncharacteristically poor outing (3.2 innings, 5 ERs), the benighted bullpen picked him up—going 5.1 innings and giving up just one earned run. In particular, Stephen Wright delivered the top contribution—going three crucial innings, giving up just one hit and no runs. Boston can now concentrate on a new Magic Number for the best record in the American League—with that number now sitting at just two.